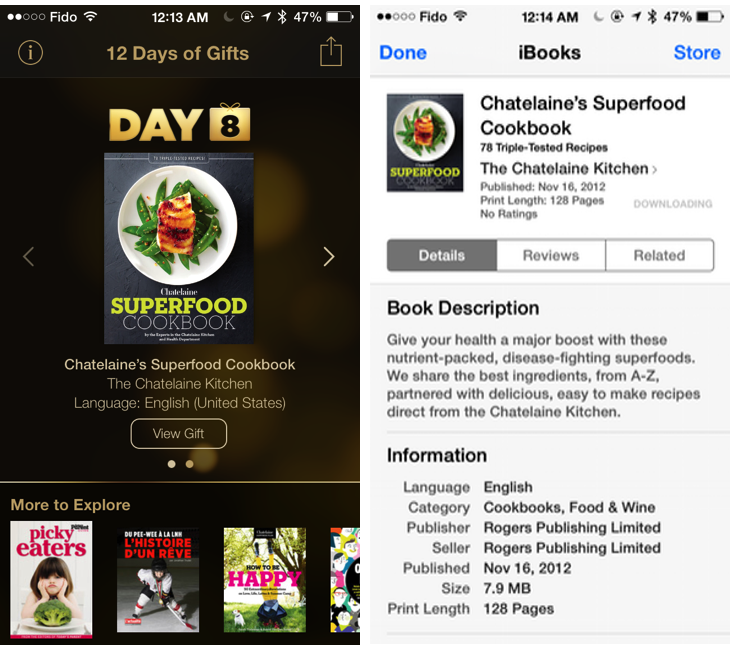 Apple’s “12 Days of Gifts” promo continued yesterday with Ubisoft’s Rayman Jungle Run as a free download and today, Apple is offering Chatelaine’s Superfood Cookbook as the eight day’s Christmas gift. Give your health a major boost with these nutrient-packed, disease-fighting superfoods. We share the best ingredients, from A-Z, partnered with delicious, easy to make recipes direct from the Chatelaine Kitchen. To grab your free gift of the day, open your “12 Days of Gifts” app and tap on “View Gift” to download it for free.